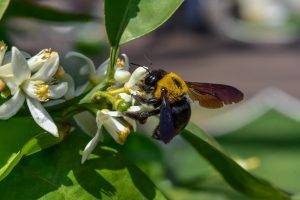 Why do you need to repair damage caused by carpenter bees? If you allow these bees to make homes in your home, year after year, they can even undermine the structural integrity of your home. They will often tunnel into the weight bearing supports for your porch, for example. This is obviously something we need to try and prevent. 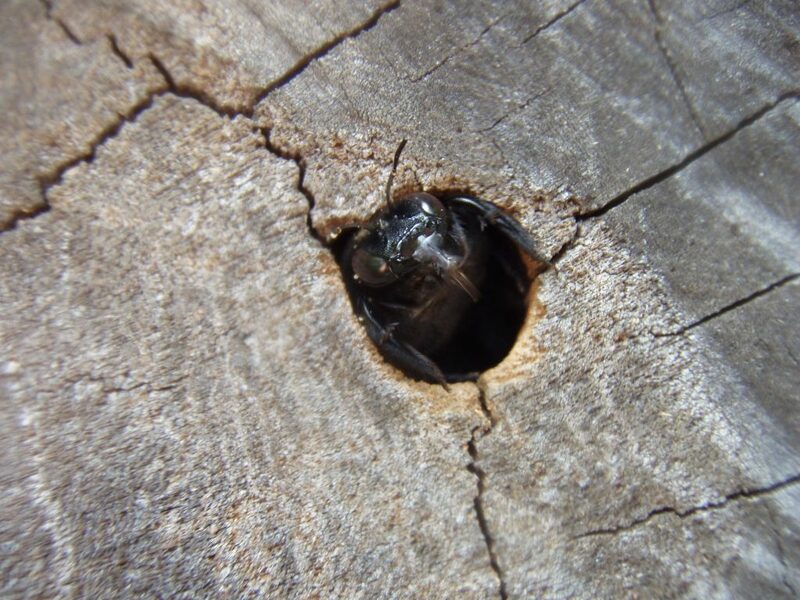 However, if it’s too late for prevention, keep reading to find out how to fix the holes made by carpenter bees. Thankfully, if you repair the holes before the wood rots out, it can be an easy fix that doesn’t cost a lot of money. Whether the bees are tunneling into your house siding, fences, garages, or other outbuildings, it’s good to keep on top of repairs. 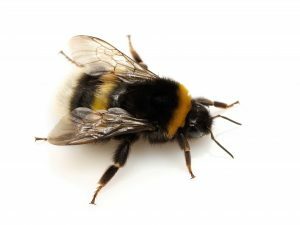 Once the bee has entered the hole, it can be exterminated with the use of a quick-acting bug spray. The hole can then be filled with a wooden dowel, then covered with a wood putty, and ideally painted. In the video example below, the gentleman also adds steel wool & tin foil to the hole to deter the bees chewing back in. If you are in a situation where you can paint, this is not necessary. Another alternative is to fill the hole with a paintable caulk. The bees will not desire to chew through this either. Instead of killing the bee before filling it, you can first wait for it to evacuate and disappear. After this you can fill using the same method as above. However, the bee will return and will either try and drill it’s way back into the filled hole, or it will make another one near by. 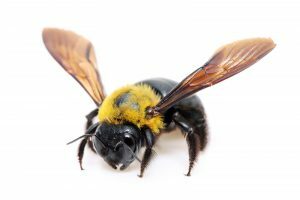 To prevent carpenter bees making holes in your house you can provide alternatives. What’s important is just to get the holes filled and weather tight. And, of course, what’s more important is prevention. Thanks for reading. Let us know what sort of carpenter bee damage you have faced (and how you’ve dealt with it) in the comments below.